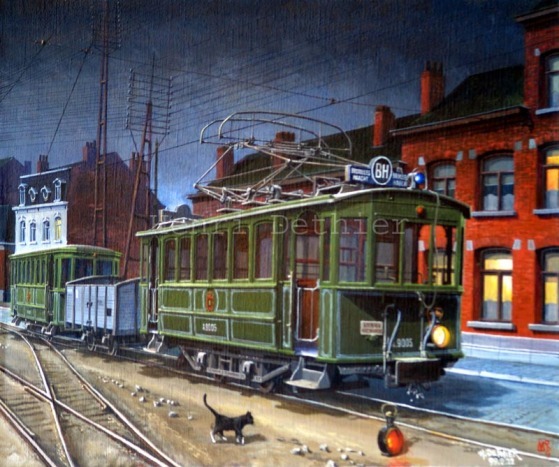 The night at the vicinal railways station at Haacht around 1920, only a servicing consist is ready to take on the track when the last commuters' tram would be back in the barn. The cat only knows about his own schedule. La nuit dans la petite gare vicinale de Haacht (vers 1920), seul un convoi de service attend le retour du dernier tram voyageurs au dépôt pour monter en ligne. Le chat du quartier ne connaît que son horaire personnel.